Humanitarian corridor from Ethiopia to Sardinia. 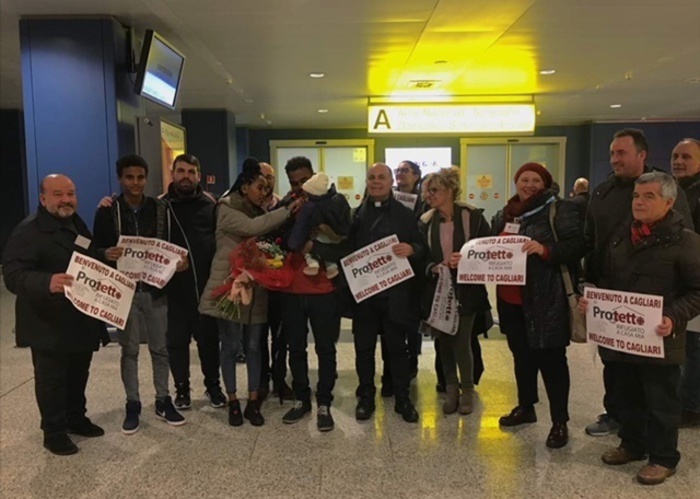 They were in the refugee camp of Hitsas and from this afternoon they are in Cagliari: they arrived at Elmas airport, thanks to the family reunification, the wife and two-month daughter of Dawit, one of two young Eritreans in the Sardinian capital since last June 27 . Among others, the director of the diocesan Caritas, Fr Marco Lai, with the immigration team, and the immigration representative of the pastoral organism Alessandro Cao. "An important day, the humanitarian corridors are again in Sardinia - comments Don Marco - Cagliari open city, the daughters of Charity will host this family. A safe journey beyond any kind and form of speculation ". Mom and daughter landed at Fiumicino this morning at 4.30 am with the last group of refugees arrived in Italy as part of the agreement signed in January 2017 by the Italian Episcopal Conference (acting through Caritas and the Migrantes Foundation), by the Community of Egidio and the Government. There are 85 people of predominantly Eritrean nationality, all refugees in Ethiopia: among them there are several families and a dozen children and will be welcomed in about fifteen Italian dioceses. So far, the agreement has allowed legal and safe entry to a total of 500 refugees in two years, thanks to the intervention of dioceses, parishes, families and religious institutions and the use of private apartments, with the support of families Italian tutors committed to accompanying the path of social and work integration of everyone in the territory, guaranteeing services, Italian language courses and medical care. The project is totally self-financed with the 8xmille of the CEI, funds raised by the Community of Sant'Egidio and the generosity not only of associations and parishes, but also of citizens who have offered their homes and their free and voluntary commitment.